The Waste of Space design is bearing fruit (and vegetables). Permaculture designs, as this is, often incorporate use of vertical as well as horizontal space (often referred to as ‘stacking’). 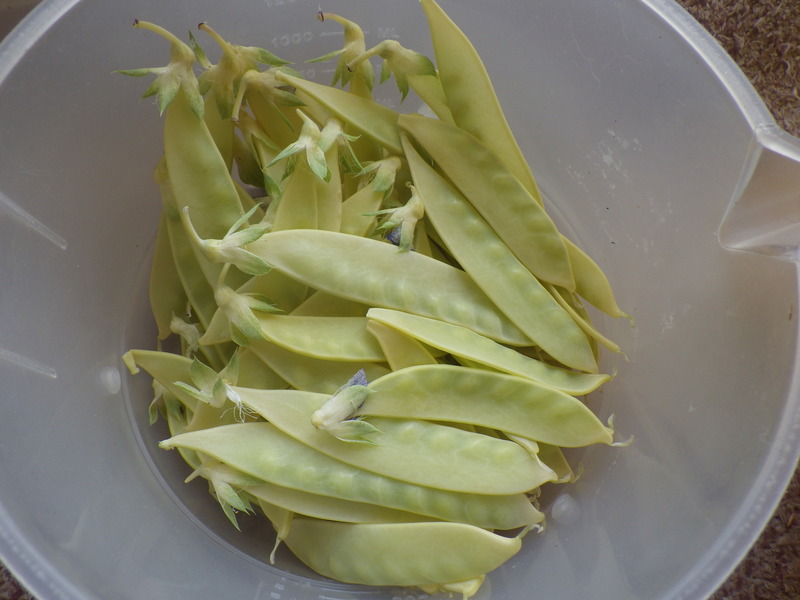 With this in mind I planted yellow-podded mangetout in pots alongside the fence. 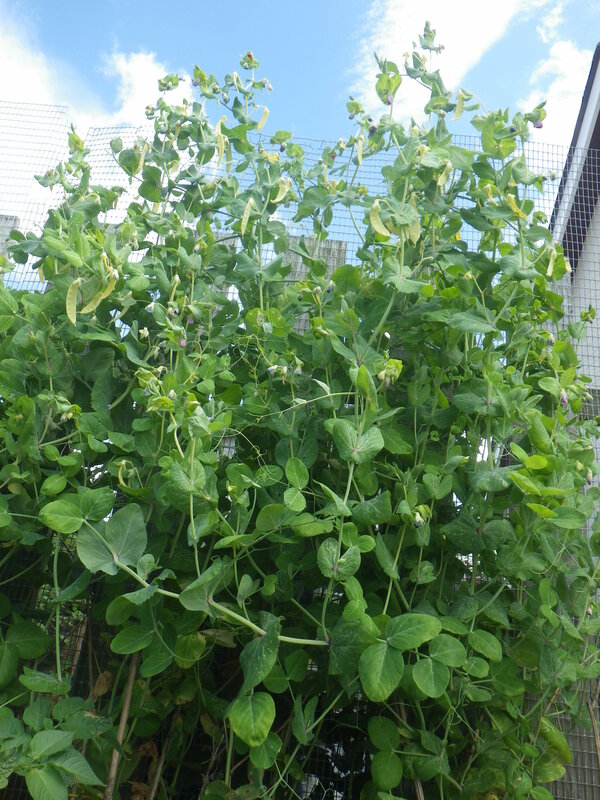 In order to contain chickens, last year we attached wire mesh to the wooden fence slats and thus increased the height of the structure to about 2m, just the same height that the seed packet suggests these peas grow to. In addition, we have harvested a couple of kilos of potatoes from the dumpy bags, but the majority of the harvest from them is yet to come. This whole area, which was previously unused, is contributing significantly to our food supply this year… onwards and upwards! 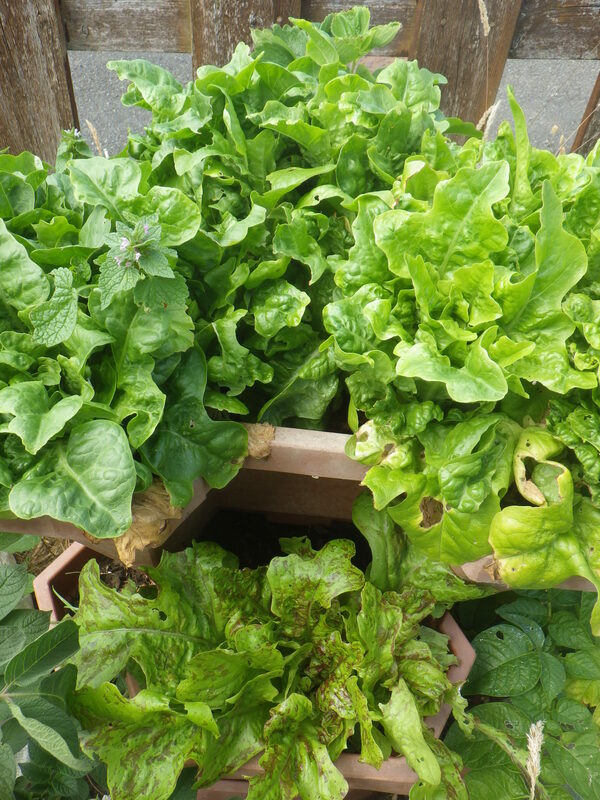 The lettuce is good and the mangetout will be in our dinner tonight!